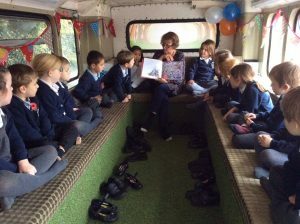 Pippa Goodhart shares ‘A Bottle of Happiness’ on the Story Bus. How wonderful to celebrate a whole week of storytelling! It’s something that unites us, binds and connects us. It’s common to every known culture and central to human existence. From songlines in Aboriginal Australia to Icelandic folk tales told in the dead of night, traditions of oral storytelling go back millennia. We tell stories to know who we are. Now I am the storyteller. But I still hunt for stories that I can listen to – in clubs, in the theatre, on the radio. It’s an altered state that is different to watching. It’s an active kind of listening – yet also strangely meditative. You can see this in schools as children appear mesmerised as they listen to a story. 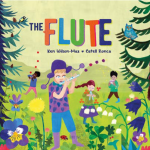 The text becomes alive and the children are entranced in a shared reading experience. Aidan Chambers calls this a “community of readers” and reading becomes a social act in which the story can be discussed and explored. Children can be enticed into worlds that they might not have discovered on their own and they can discuss their responses with their peers. 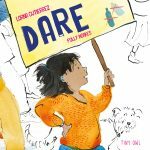 This is as important for older readers as it is for younger children – and storytelling should be encouraged amongst adults too! An illustration of the storytelling tradition of pardekhani. 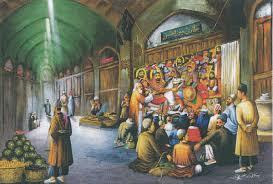 In Iran, there is a long tradition of oral storytelling for all ages. 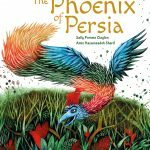 One of our authors Ali Seidabaadi wrote a blog on the ritual called pardekhani and the similarities between this and picture books. In the storytelling practice of pardekhani, illustrations are painted onto a large canvas (named parde) and the storyteller (the pardekhan) stands before the crowd – often in a street or a coffeehouse – and narrates the story using the illustration. Imagine if you could walk into your local coffee shop and listen to a story whilst drinking a latte. Bliss! To celebrate National Storytelling Week, we are giving away three copies of our picture books to inspire you to read aloud at your home, school or library: The Elephant’s Umbrella, The Clever Mouse and Bijan and Manije. Please send us a DM message on twitter, letting us know where you plan to read your story and we will select three lucky winners! Read about the ancient storytelling tradition of pardekhani. Read reviews of The Elephant’s Umbrella, The Clever Mouse and Bijan and Manije. 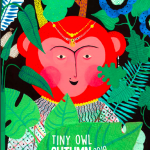 *Sophie Hallam is Commissioning Editor at Tiny Owl Publishing.